Congratulations to our 5th Grade Champs! 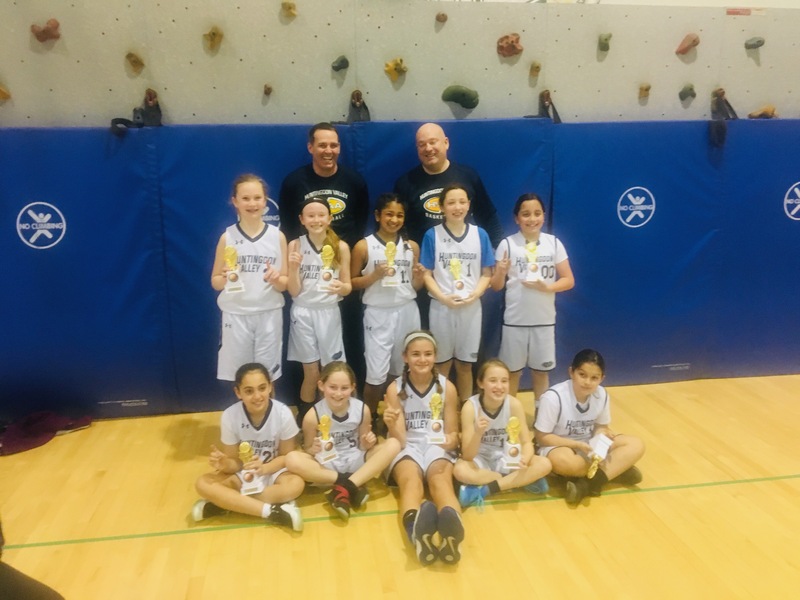 Our HVAA Travel Basketball 5th Grade Girls win 1st Place in their division in ICBA. They won their last game 30-27! Way to go! All participants in activities using the Murray Avenue gym must park in the rear parking lot. All drop-offs and pick-ups should be done using the rear parking lot (entrance from Red Lion Road). Parking along Murray Avenue east side or blocking driveways on the west side will result in ticketing ot towing. There is no food or drink permitted inside the gyms. Only participants and coaches are permitted drinks. Spectator may consume food and drinks in lobby areas. Doors to Murray Avenes and Lower Moreland High School may not be propped open. Lower Moreland School District practices a "safe schools" program for our children and the proping of doors allows unlimited access to school buuildings. No access is permitted to areas other than the lobby and gym. Items in closets or adjacent areas are not the property of HVAA and should not be accessed or used.